Bring spring to your smaller or even tiny fairy garden scapes? These little dynamos produce a treasure trove of flowers. They are ideal for containers, rock gardens, edging for borders, or thriving under trees and shrubs. They’ll stand out in your garden with thrilling details and compliment other larger spring blooming beauties like tulips and alliums. Narcissus canaliculatis is a miniature heirloom daffodil growing only 13cm (5”) in height, but don’t be fooled by its stature. Each bulb produces many stems of that bear 4-7 beautiful blossoms per stem. Slightly reflexed petals in crisp white provide great contrast with the crowning orange yellow cups. These are Deer and rabbit resistant, plus they have an appealing fragrance you’ll want near your front door or balcony. Plant these naturalizing bulbs in large groupings for swathes of brilliant colour, setting them 5 cm (2”) deep and 8 cm (3”) apart in well-draining soils. Add them to your full sun to part shade containers too! Hardy to Zone 4. 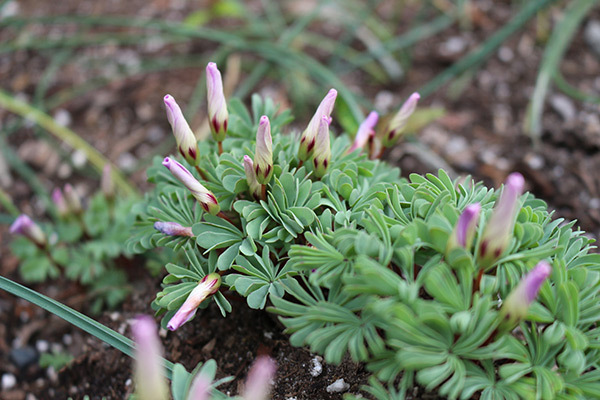 Oxalis adenophylla originates from Chile where it grows on rocky slopes that are snow covered in winter. They are more commonly known as ‘Silver Shamrock’ or ‘Wood Sorrel’. Lucky for us, this winner of the RHS award of garden merit likes our Canadian climates too. A single bulb grows into a plush clump of finely creased soft gray green clover-shaped leaves. The foliage is exquisite on its own, but the starry open-faced flowers are soft pink with a dark violet throat and veining. Appearing in late spring to early summer, the blooms are 10 cm (4”) in height and so plentiful that they often blanket the foliage underneath. 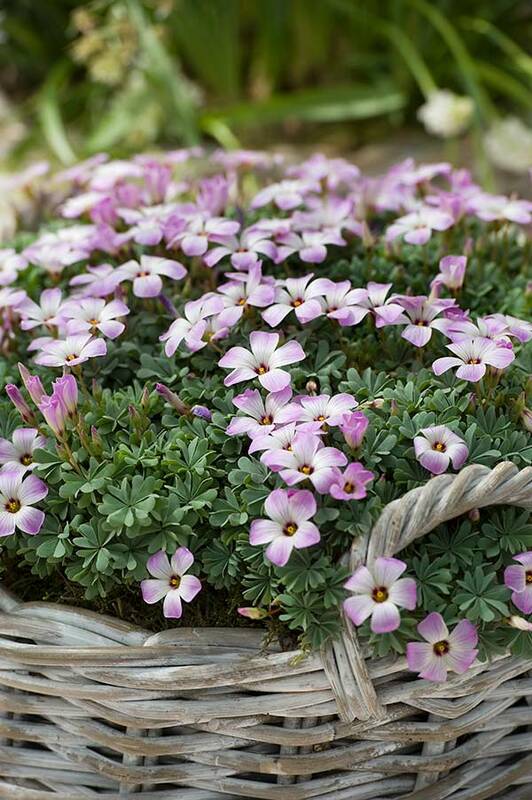 This easy to grow bulb is a top pick for fairy garden containers, rock gardens and edging. They readily naturalize into a clump 10-15 cm (4-6”) wide. These unique rounded bulbs have long hair-like tendrils emerging from the bottom, making it is easy to tell which end is planted down in the soil. Set bulbs 5 cm (2”) deep in well-draining soils in full sun to light shade locations. Very cold hardy and preferring cool summers, these bulbs slip into dormancy when the temperatures get too warm or too cold. Hardy to Zone 4. 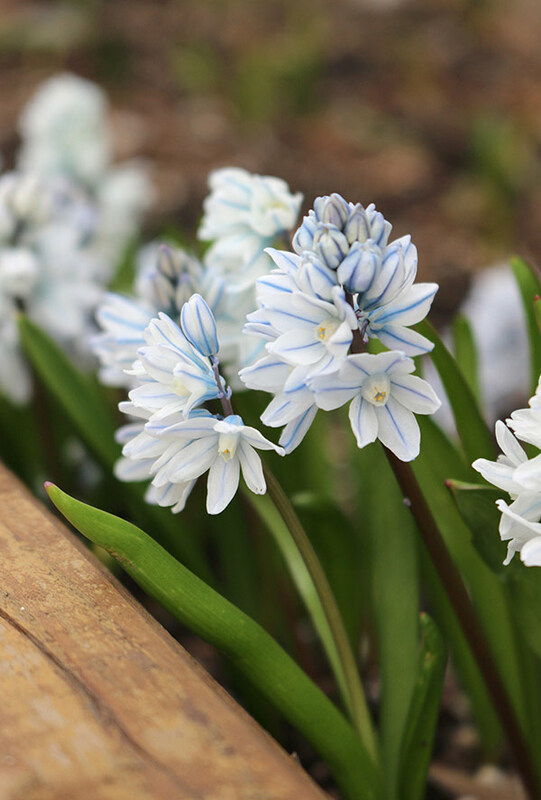 Fun to say out loud, Puschkinia libanotica is also known as ‘Striped Squill.’ Sometimes it is called the ‘Russian Snowdrop’ because it blooms in early March and April. It is named after the Russian botanist, Count Apollos Musin-Puschkin who collected them from alpine meadows of the Caucasus and Asia Minor areas in 1802. 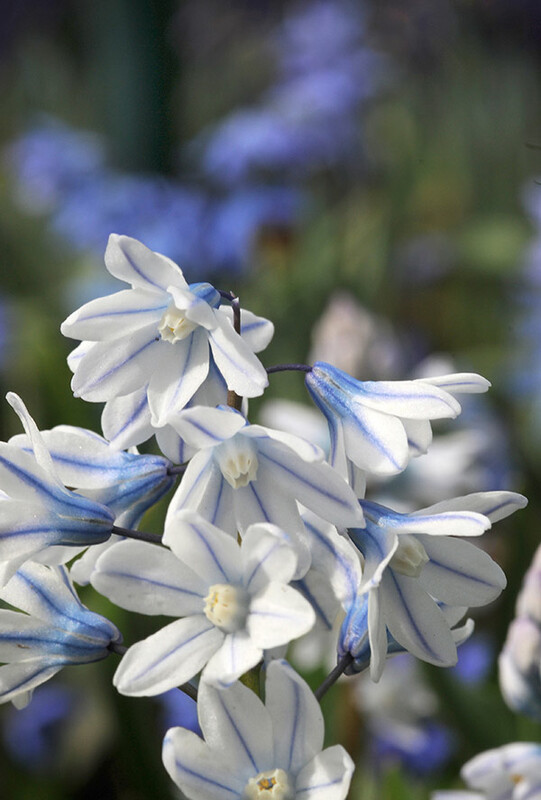 Each bulb sends up strappy dark green leaves and a short 15 cm (6”) stalk that bears clusters of 6-12 soft white bell-shaped blooms with deep blue pinstripes. This deer resistant and cold hardy bulb is a great naturalizer, coming back year after year. It also looks spectacular when planted in large groupings, edging the front of the border or along a pathway. 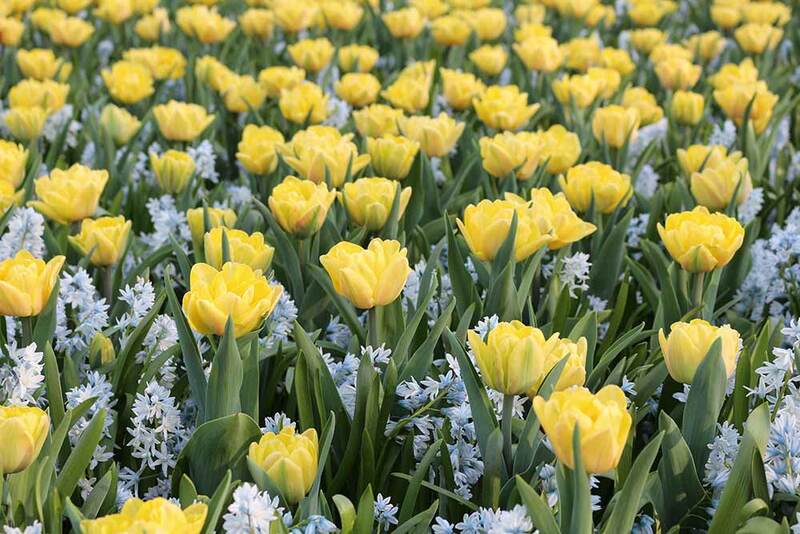 Plant a few bulbs in the lawn, setting each small round bulb 5 cm (2”) deep and 10 cm (4”) apart. In time, a drift of spring colour will sweep across the lawn. 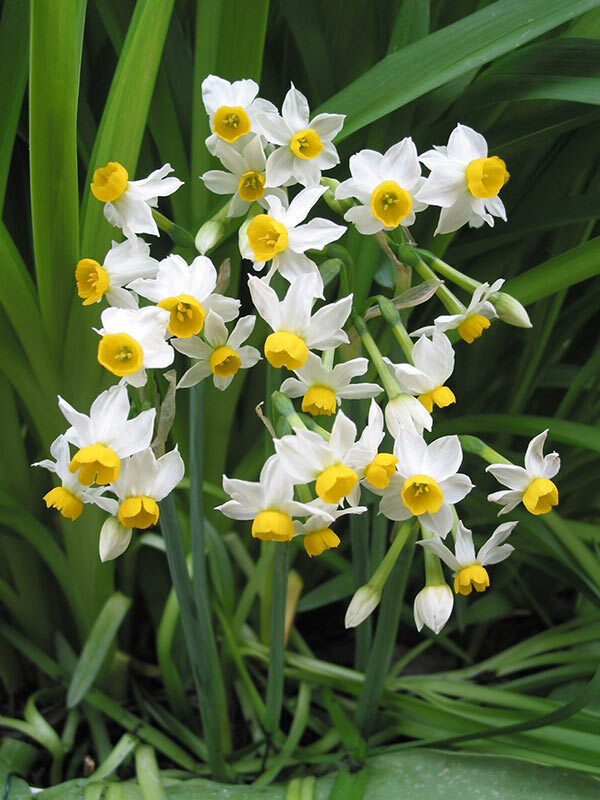 This bulb enjoys moist, well-draining soils and full sun to part shade locations. Hardy to Zone 3.